Sure, you are interested in beauty—or else you wouldn’t be reading this, right? However, the career of makeup artist is a calling that appeals specifically to a certain type of cosmetology-gifted student. If you’re into makeup, you’re something of a magician: You love the idea of transformation and variety. You know that any face can be made up to look a dozen different ways. You’re in love with the control over appearance. You may just be a little bit “out there”! That said, here’s 13 other great ways to know if you may be a future makeup artist! #1. Forget about the “regular” Barbie dolls. 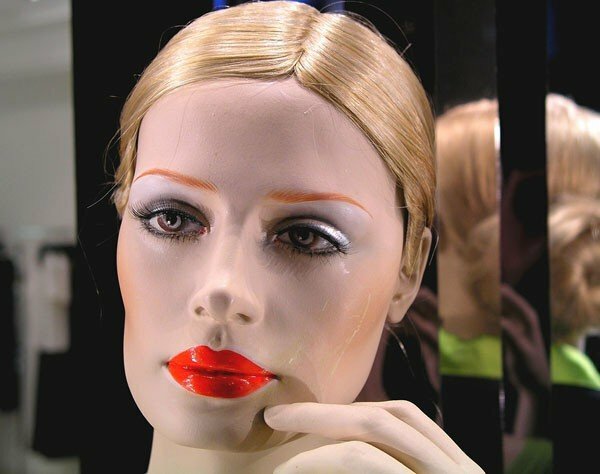 As a kid, you begged for one of those big, scary, standalone Barbie heads so you could practice makeup techniques. #2. You also got in trouble with your mom for stealing expensive department-store lipstick out of her makeup bag, when you all-too-quickly used up the “play” stuff that came with your Barbie head! #3. Your parents said “no makeup until you’re in high school.” That didn’t deter you: Who had the best Lip Smackers collection in elementary school? #4. Who’s the girl in the crowd wearing blue lipstick/rainbow eye shadow/neon blusher/any current, difficult makeup trend? It’s you, of course. And you’re totally rocking it. #5. You’re shamelessly addicted to makeup tutorials on YouTube. The more extreme, the better. #6. College isn’t for you. You’re prepared to research good professional makeup schools in order to chase your real dream. #9. Your friend is about to get married, has chosen a strapless gown… and has a giant back piece tattoo. “Can you cover this?” Of course you can! #10. Same friend on her wedding day breaks out with the world’s largest pimple. You have her looking like Snow White in minutes. #11. You know there is more to makeup than just pretty colors on pretty girls. You’re interested in how to work with different skin types and conditions, and how to cover scars, birthmarks, and deformities. #12. You’re interested not only in makeup, but also a career involving film, photography, or fashion—all of which involve long, tiring hours. But also plenty of thrills and satisfaction! #13. You truly are inspired by transforming the ordinary into the extraordinary. Makeup is a magical tool in your eyes, which can turn anyone into model material.